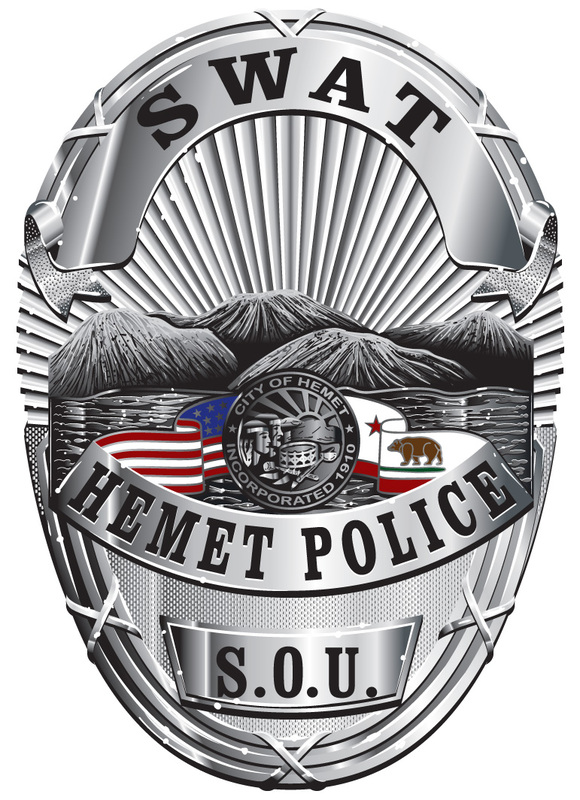 The mission of the Hemet Police Department's Special Operations Unit (SOU) is to maintain a team of highly-trained officers who are prepared and equipped to resolve critical incidents which go beyond the scope of normal police operations. Commonly known as a SWAT team, the SOU's primary objective is to save lives by resolving critical incidents with decisiveness and precision. Utilizing a variety of specialized tools, weapons, and team-based tactics, SOU is prepared to respond to any threat facing Hemet. Team members are selected from the ranks of the department and serve on SOU as a collateral duty in addition to their regular assignments. SOU team members must stay in excellent physical condition and must demonstrate superior marksmanship. 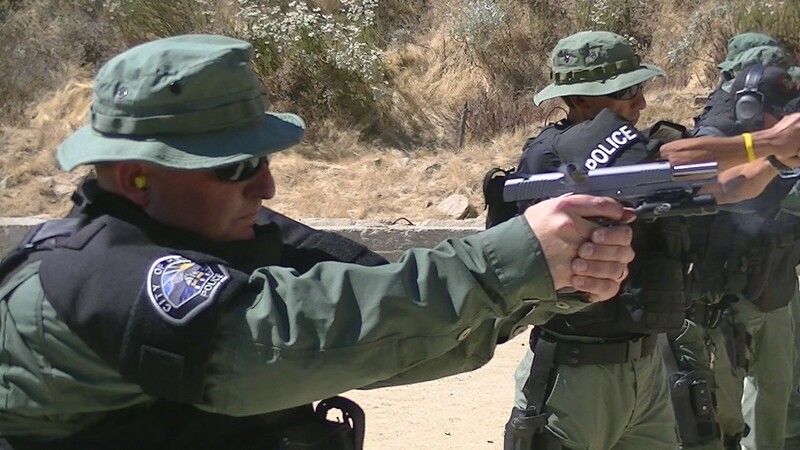 After an intense selection process, officers must successfully complete a two-week SWAT academy prior to deployment. To maintain their fitness and skills, the SOU team trains twice a month on a variety of weapons and tactics. Each member must pass quarterly qualifications on all weapons as well as a fitness test consisting of a three-mile run, bench press, pull-ups, sit-ups, and push-ups. The SOU team is enhanced by a highly-trained Hostage Negotiation Team (HNT), which responds with SOU to a variety of crisis situations. Using a variety of techniques and state of the art communications gear, HNT crisis negotiators seek to affect a peaceful resolution to all critical or crisis situations with little or no injuries to those involved. In fact, the majority of incidents the team has responded to do not involve hostages. HNT is often called upon in cases of barricaded suspects who refuse to surrender, suicidal subjects who may have weapons, and other potentially violent conflicts. The members use the skills learned in training courses to speak with the barricaded suspects and/or hostage takers, working to help resolve the situation without violence. Nearly all operations that SOU and HNT respond to take hours to resolve, but the teams are proud of their track record. The teams have successfully brought most of the incidents to a close without injury to the suspects, bystanders, or other officers. Hours of training enable members to react without delay to resolve potentially violent circumstances.